I’ve amassed quite the collection of supplies over the years. Stamps, paper, punches, “bling,” ribbon, stamps, rub-ons and stickers, ink, embossing powders, glitter … did I mention stamps? Somehow, I keep it all organized in a craft cart on wheels and on a 72-inch shelf in a closet. The majority of all this fantastic stuff was bought in craft stores, at scrapbooking events and online. Often, though, I turn to items I find around the house to use in card making. Beads. I have beads leftover from making bracelets when I was a kid, and I’ve kept beads from broken jewelry. 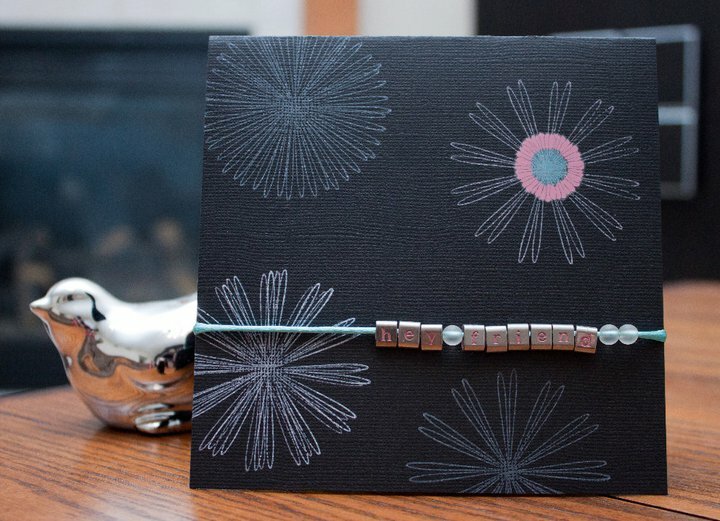 For this card, I strung glass beads onto thick string to act as a “stopper” for the letter slides. Buttons. They’re easy to find in my house. I have buttons from my grandmother’s and mother’s sewing collections and a ton of buttons that came as extras to items of clothing and were never used. 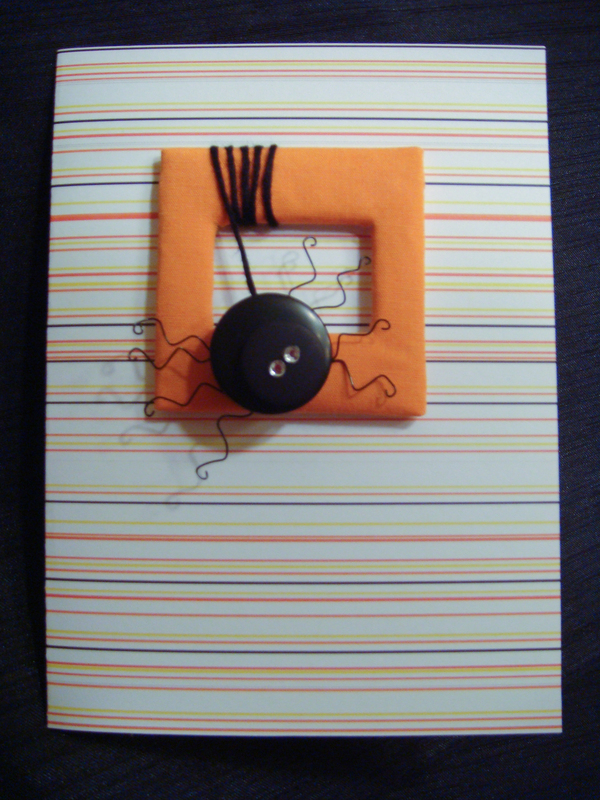 I made this spider using two black buttons, wire and two embellishments for eyes (which cover the button holes). 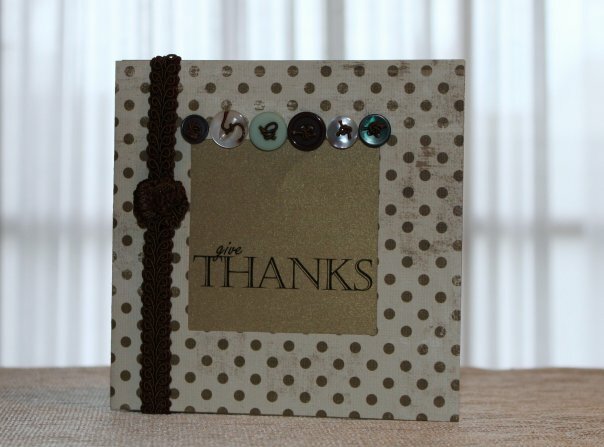 The Thanksgiving card features mostly “found” buttons. Paper. Sometimes, the paper I use is not from a craft store but from the mail. 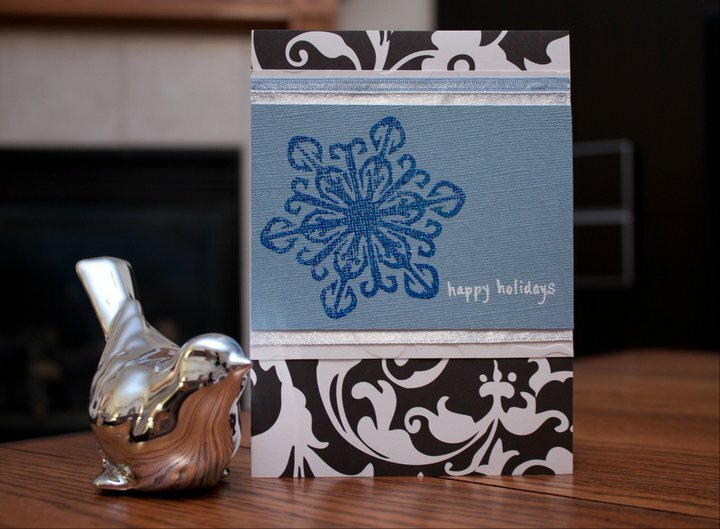 Out of the patterned papers I used for this card, can you tell which one if from a retailer’s postcard? Ribbon, thread and yarn. Not only did I make jewelry when I was young, I had an embroidery hobby, too. From that, I have a lot of thread and crewel yarn that I occasionally use on my cards (such as for the spider above). More often, though, I use ribbon from an uncommon source: clothing. Women’s shirts sometimes have ribbon loops on the inner shoulder seams so that they won’t slide off hangers. Most of the time, these ribbons drive me crazy, so I cut them off immediately. 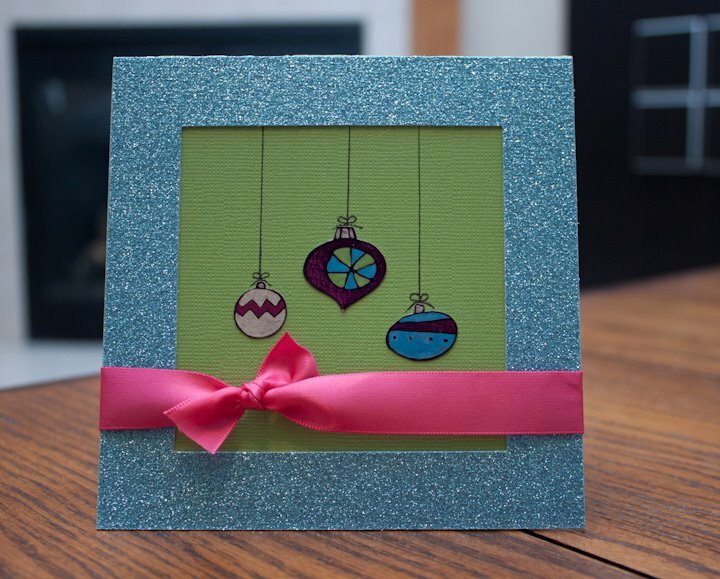 They come in great colors and are the perfect width for cards. Who knew? I also use ribbon from packaging. 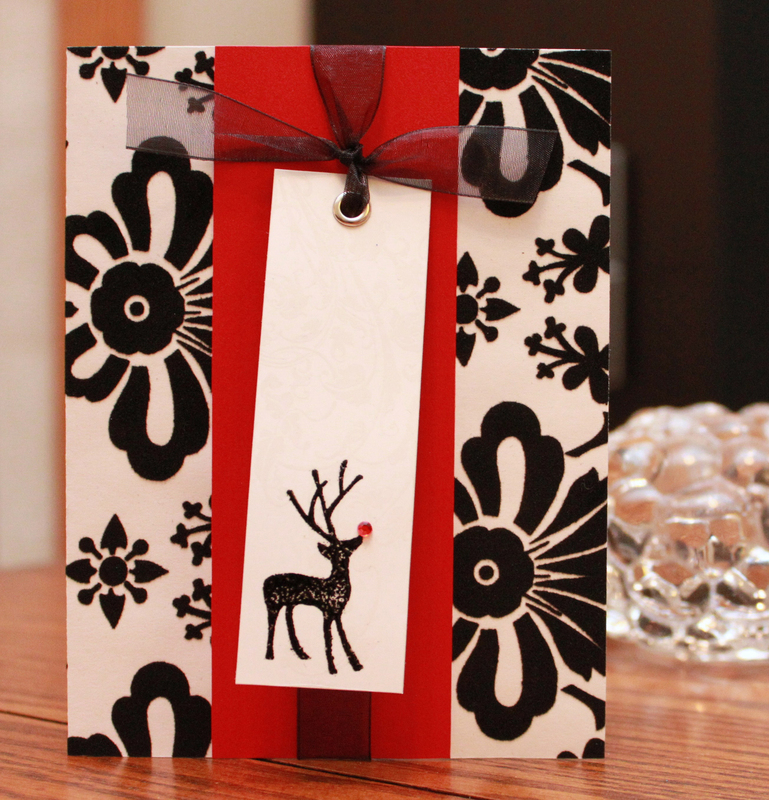 The first card has “hanger ribbon” and the second has ribbon from a Victoria’s Secret bag. Safety pins. Who doesn’t have at least a few of these? 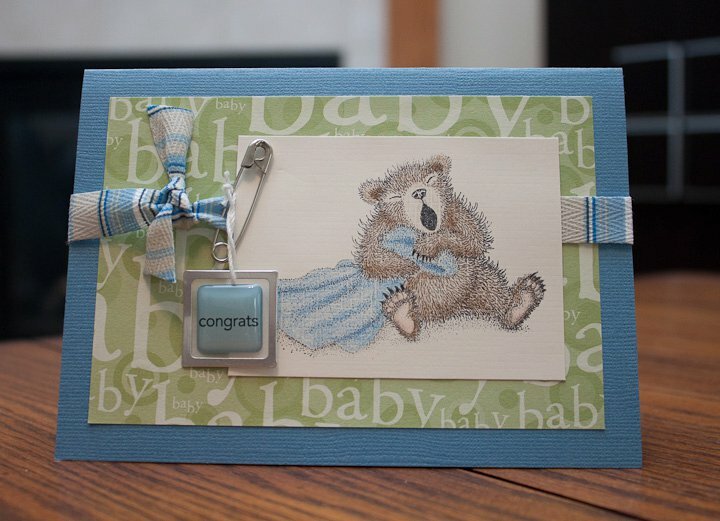 One obvious use for cards: anything for a baby. So easy and fun! Staples. I have large, fancy staples and a Fascinator, but I use the average staples, too. They add something extra but don’t overwhelm the design. 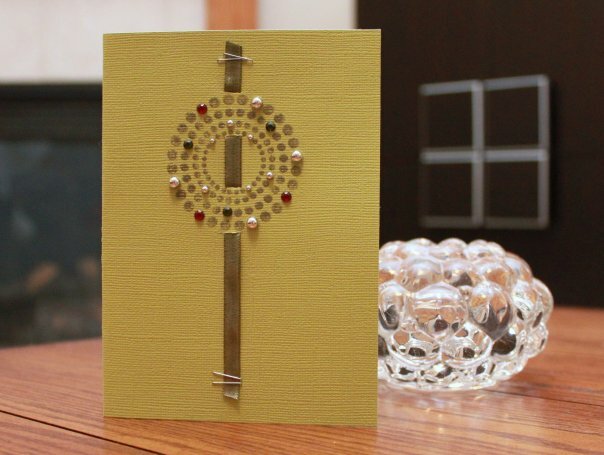 Need an embellishment for a card? 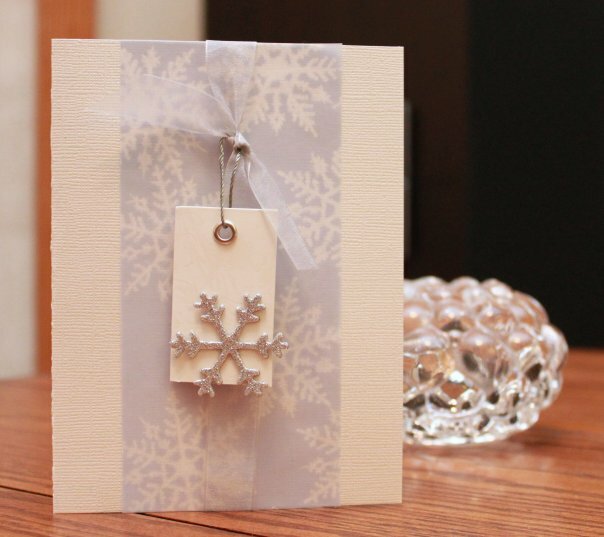 Stuck in a card-making slump? Go hunting in your house and get crafty!